Premier League-bound Burnley have released defender David Edgar along with midfield duo Brian Stock and Keith Treacy, and goalkeeper Nick Liversedge. 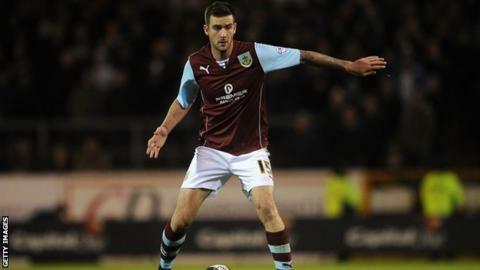 Canada international Edgar, 26, was signed from Newcastle United for the Clarets' last spell in the top flight in 2009-10 and made 114 appearances. But this term, along with 32-year-old Stock and Treacy, 25, he has largely been restricted to a substitute's role. Liversedge, 25, did not feature in what was his only season at Turf Moor. Stock made 42 appearances, after former manager Eddie Howe brought him in nearly two years ago, but has struggled for action under Sean Dyche. Treacy scored five times in 75 games, though half of those appearances were as a substitute.